The fundraising e-book for Deb Robson's Shetland research will be published very soon: Dreaming of Shetland. I have pre-ordered mine! 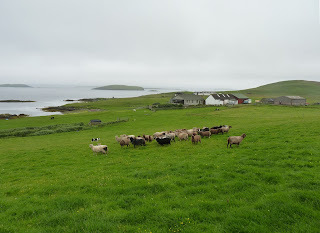 Deb's blog post about the project: Dreaming of Shetland. I'm so looking forward to see what Deb will come up with once the research and writing has resulted in a book or longer article. Shetland sheep and their wool are so fascinating! Here's a flock I saw on the grounds of Shetland Croft Trail in 2010. 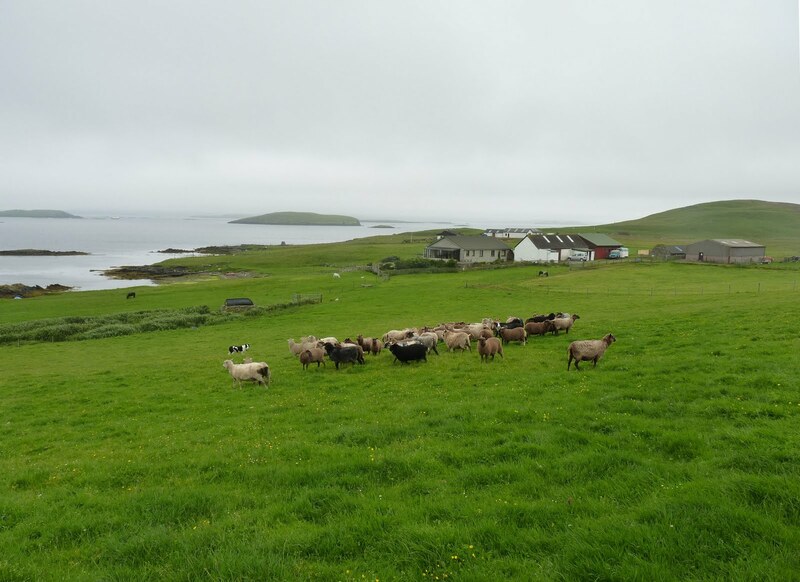 I hope Deb may see lots and lots of sheep during her stay in Shetland, that island of my dreams (also)! Yes, I am. I dream of going back there, in fact I dream of moving there. This must be the optimal place for anyone who likes to work with wool and yarn, who like people, art, music, archaeology, nature, the sea, food and drink, history, birds and wildlife... I'm so glad Deb can go there this autumn.